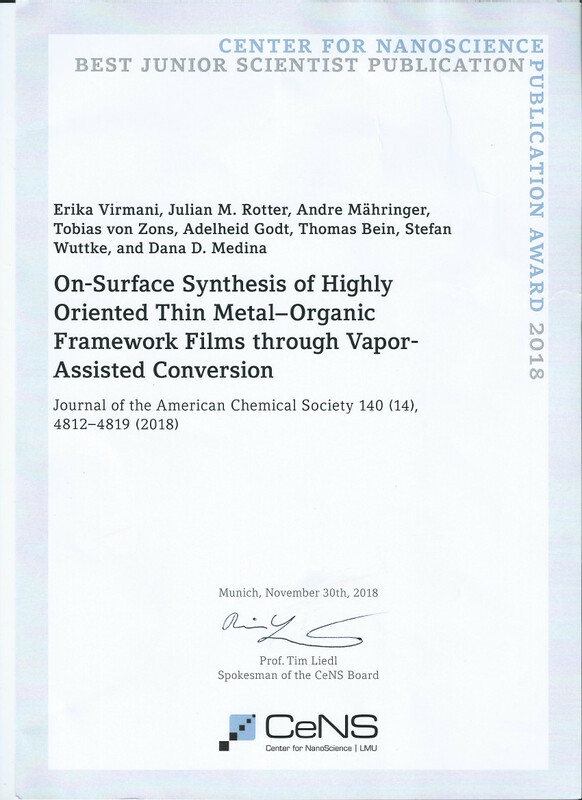 We are very delighted to hear that our Paper „On-Surface Synthesis of Highly Oriented Thin Metal-Organic Framework Films through Vapor-Assisted Conversion“ won the „Best Junior Scientist Publication Award 2018“ of the Center for Nanoscience (CeNS). This paper is a collaboration of our group with the group of Dana Medina. I would like to take the opportunity and thank all co-workers as that paper as well as the publication was intense work. Thank you guys. I appreciate that very much.